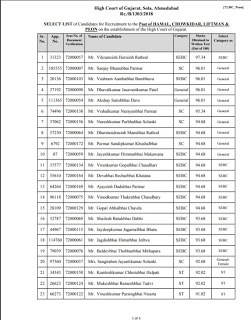 Gujarat High Court Annouced List of Candidates who have been SHORTLISTED and found eligible, to be called for verification of documents, etc., for the purpose of preparation of Select List / Wait List pursuant to thevacancies notified in the detailed advertisement dated 30/08/2018, for the post of Post of HAMAL,CHOWKIDAR, LIFTMAN & PEON on the establishment of the High Court of Gujarat. The High Court Of Gujarat Peon Result download links is provided on this post for the candidates who have completed the application process for this Peon Posts. 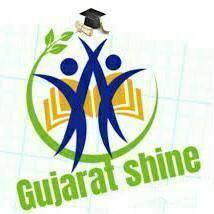 All the applicxant5s can get the exact details regarding the result on this page after completion of the exam you can go through RecruitmentIndia.in site and then download the Gujarat High Court Peon Answer Keys by checking that you have an idea about your marks in the exam. Aspirants can download the Gujarat High Court Peon Result 2019 from this post. List of Candidates who have been SHORTLISTED and found eligible, to be called for verification of documents, etc., for the purpose of preparation of Select List / Wait List pursuant to the vacancies notified in the detailed advertisement dated 30/08/2018, for the post of Post of HAMAL, CHOWKIDAR, LIFTMAN & PEON on the establishment of the High Court of Gujarat.